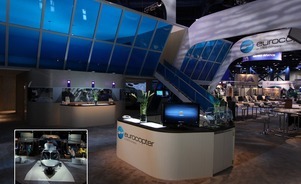 Monster Daddy made an appropriately super-sized impression and left other exhibitors cowering in its trade show debut. ”We had the best booth at the show,” says Carter, founder of Monster Daddy, an intellectual-property holding and licensing company. 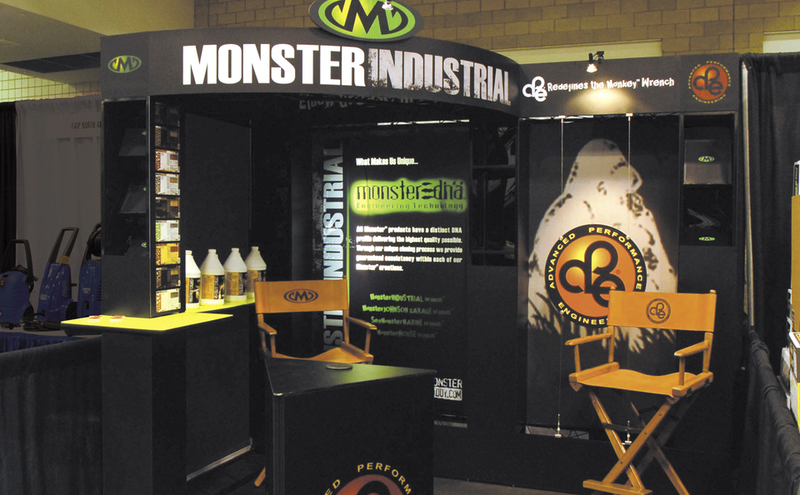 Designed to complement the company’s web site and packaging, the exhibit commanded attention for two operating companies: Monster’s high-end Industrial line of cleaning products and Advanced Performance Engineering (APE) tools, including monkey wrenches with improved design. 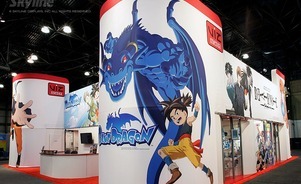 The exhibit helped succeed in placing the Monster Industrial brand line of products in a tool-and-equipment retailer’s stores, catalog and online store. 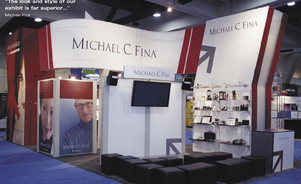 Skyline offers you the highest quality, most durable tradeshow displays, designed for impact, quality, and easy set up. 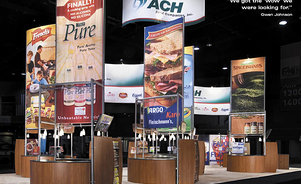 That's why exhibitors have chosen Skyline as the #1 brand of portable tradeshow displays. 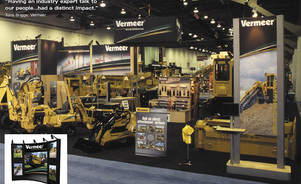 After updating the logos and decals on its industrial and agricultural equipment, Vermeer needed to update its trade show booth.